Custom Invitations for any occasion! Welcome to My Inky Friends: Designer Series Paper Showcase Blog Hop. Each blog will be featuring one of the Designer Series Papers from our catalogs. I don't know about you all but this is one of my number one items I use all the time to create my projects. Please note the blog hop doesn't officially start until noon EST today April 12, 2019 some of the links may not work right away. This hop goes through Sunday April 14, 2019. If you have been following the tour in order you would have arrived from Shar's Blog where she is showcasing Gardens Impression Designer Series Paper another one of my favorites. Didn't she do an awesome job!!! Bora Bora? Maldives? Turks and Caicos? Bali? No matter the tropical destination of your choice, this paper will put you into a traveling mood in no time! Coordinating colors: Basic Black, Blushing Bride, Granny Apple Green, Shaded Spruce, Whisper White. It coordinates with the Tropical Suite in the Stampin' Up! Catalog on page 120. I have some very quick and cute thank you cards. These are great for some simple and quick stamping; that is the beauty of using designer paper! These are also great for a quick copy idea too. The Tropical Escape 6 x 6 Designer Series Paper pairs beautiful with the Fabulous Flamingo Photopolymer Stamp Set item #143758. You know what they say, birds of a feather stamp together. This sassy and classy flamingo will show off your stamping skills when you carefully layer all three stamps to create a flamingo worthy of every climate! Here are some close ups of the cards. I cut a piece of Granny Apple Green card stock to layer behind the Tropical Escape Designer Series Paper. I cut a piece of Basic Black card stock, then another piece of the Tropical Escape Designer Series Paper in the (Blushing Bride). I adhered those two together. I inked the stamp from Fabulous Flamingo Stamp Set in Shaded Spruce and stamped onto a piece of Whisper White card stock. I adhered the Whisper White card stock to the Basic Black and Tropical Escape Designer Series Paper. To finish it I added some Rhinestone Basic Jewels. On the inside of each card I added the coordinating piece of Tropical Escape Designer Series Paper. Simple but a cute little card! You'll want to head on over now to Staci's BLOG were she is featuring Wood Texture 6 x 6 Designer Series Paper. You will love her project! Thank you for your support! Be sure to use Hostess Code 7CPMZNVA to receive my monthly customer promotions. (Please note: Don't use hostess code for orders over $150 or more you will still receive my customer gifts). Everyone on the blog hop is featuring the Amazing Life Stamp Set from the Occasions Catalog. Head on over to Cindy's BLOG to see her fabulous creation! Today's share, my 2018 customer christmas gift thank yous featuring the Making Christmas Bright Stamp Set. All my of club members, and customers who placed orders received this in the mail from me. Inside was a reinker, stampin spot, and dauber. They were a hit with everyone! Making Christmas Bright Stamp Set item # 148046 is a Photopolymer Stamp Set. This is such a cute little stamp! A stamp set with lights for the season of light—what could be more appropriate? I also used the Christmas Bulb Builder Punch and Sprig Punch. All of these items carried over on the Holiday Carry Over list! More details about the Holiday Carry Over List can be found HERE. I also created a cute little 3 x 3 Note Card to go with the gift as well. Isn't this gift so cute? Cut two pieces of Night of Navy card stock. Zip it through the Big Shot Die Cutting Machine with the Sparkle Embossing Folder. Cut two pieces of Real Red and Petal Pink card stock. Ink the stars from Making Christmas Bright Stamp Set in Petal Pink Classic Ink and stamp onto the Petal Pink card stock creating a tone on tone effect. Adhere both pieces of card stock together. Use the Sprig Punch and punch out some of the Joyous Noel 6 x 6 Glimmer Paper. Adhere to the Petal Pink card stock. Wrap a piece of 1/8 Whisper White Taffeta or Silver and Petal Pink Baker's Twine around the layers and adhere to the Mini Pizza Box and Whisper White card base. Die cut out two pieces of Mint Macaron card stock using the Big Shot Die Cutting Machine and Layering Circle Framelits. Die cut out two pieces of Whisper White card stock using the Big Shot Die Cutting Machine and Stitched Framelits. Stamp onto each Whisper White circle. Mini Pizza Box I inked the greeting from Making Christmas Bright in Real Red. The card I inked the star from Making Christmas Bright Stamp Set in Tranquil Tide and stamped a bunch of stars on the Whisper White circle. I inked the string stamp in Tuxedo Black Memento Ink. Adhere both circles together then attach to the card and mini pizza box with Stampin' Dimensionals. Ink the bulb stamps in Night of Navy, Mint Macaron and Petal Pink. Stamp them onto Whisper White card stock; then punch out with the Christmas Bulb Builder Punch and here to the Whisper White circle on the Mini Pizza Box and Card. Place some Red Rhinestone Jewels to both projects. Do you have the Occasions Catalog and Sale - A -Bration Brochures? If your a current customer of mine you would have received my thank you gift package! I appreciate everyone's continued business and I am so blessed to be your Stampin' Up! Demonstrator! For all the details visit HERE. Brand New 2019 Stampin' Up! Occasions Catalog - It is full of beautiful sample ideas to get those creative juices flowing. Brand New SALE - A - BRATION BROCHURES - It is one of the greatest times of the Stampin' Up! Year and these brochures feature FREE items you can get with qualifying purchases! A handmade card featuring one of my FAVORITE New Stamp Sets! Wish List - for you to write down all your must have NEW Stampin' Up! products. My Current Coupon Sheet - my current customers get a sneak peek at my upcoming specials. New Bundles List - handy sheet that lists all the new bundles that you can save 10% on! Earn $40 FREE in Stampin' Up! Product Promo Sheet - shop with me and earn rewards!!! Any Current Stampin' Up! Promotion Flyers. *Join one of my clubs: I offer many different clubs and when you join one you automatically receive the new catalog package!! Includes FREE shipping. Limit 1 per year. * My Preferred Customers: Place a $50 order (before shipping and tax) in the past year; automatically get both the annual and seasonal catalogs sent to them as a thank you for your support! Includes FREE shipping. Limit 1 per year. * New Customers: Place an order online with me shoprubberredneck.com of $50 or more (before shipping and tax), use this month's Hostess Code: V974X22Y (Please don’t use the hostess code if your order is $150 or more) and join my newsletter/mailing list. Every month I email out a newsletter with an exclusive Hostess Code, My Customer Promotions, any Stampin' Up! Promotions, Tips and etc. (I don't share your email address with anyone) I will mail you; your complimentary catalog along with all the goodies pictured above!!! Includes FREE shipping. Limit 1 per year. * Spring Clean Out Sale List: Purchase $75 worth of retired Stampin' Up! Product from my Spring Clean Out Sale and you will receive my New Catalog + Goodie Package! View my Spring Clean Out Sale HERE . SALE - A - BRATION 2ND RELEASE (Feb. 15 - March 31) The Sale-A-Bration party just got bigger with our second release. That means more FREE products for you! Earn FREE exclusive Sale - A - Bration Products for every $50 or $100 (before shipping and tax) you spend. Sale - A - Bration items have been so popular this year that the following items are out of stock! This is the card I've created for each packet. I just love how bright and cheerful it is! The Butterfly Gala Stamp Set Item # 148580 is in the Occasions Catalog on page 35. Set butterflies and warm wishes free to brighten someone's day. This is a Two-Step Stampin’ set. Combine individual stamps to create the final image you want in the colors you want using Stampin' Up! 's coloring tools. The butterflies in this stamp set are AMAZING. I love, love the fonts on the words too! Create a 4 1/4 x 5 1/2 Lemon Lime card base using the Stampin' Trimmer and the Simply Scored Scoring Tool. Cut a piece of Grapefruit Grove Card Stock 3 3/4" x 4 1/4". Ink the butterflies from Butterfly Gala Stamp Set in Grapefruit Grove and stamp onto the Grapefruit Grove card stock on the right side. Adhere to the Lemon Lime card base. Cut a piece of Gingham Gala Designer Series Paper and adhere to the center of the Grapefruit Grove card stock. Cut a piece of 5/8 Whisper White Flax Ribbon and adhere with Glue Dots to the center of the Gingham Gala Designer Series Paper. Ink the stamp from Butterfly Gala Stamp Set in Lemon Lime and stamp onto a piece of Whisper White card stock.Big Shot Die Cutting Machine with the Layering Circles Framelits Dies. Adhere to the center of the card with Stampin' Dimensionals. Ink the butterflies from the Butterfly Gala Stamp Set in Tuxedo Black Memento Ink. Stamp onto a piece of Whisper White card stock; ink the solid butterfly in Highland Heather and stamp onto a piece of scratch paper then stamp directly over the butterflies to color them in. Punch out the butterflies with the Butterfly Duet Punch. Adhere to the card front with Stampin' Dimensionals. Place a Gingham Gala Adhesive Sequins by the greeting. Cut a piece of Grapefruit Grove Card Stock 3 3/4" x 4 1/4". Adhere to the Lemon Lime card base. Cut a piece of Whisper White card stock 3 1/2" x 4". Ink the stamp from the Butterfly Gala Stamp Set in Daffodil Delight and stamp on the bottom right corner. Adhere to the Grapefruit Grove card stock. Cut a strip of the Gingham Gala 6 x 6 Designer Series Paper and adhere to the left side of the Whisper White card stock. Today I am sharing with you all my gift packaging for my customer's promotion for Black Friday. Those that placed qualifying orders during the time for this promotion received this as a thank you gift from me. I am so thankful for all my customers and appreciate your support! To create this tag I used two different stamp sets. The first set I used is the Birthday Backgrounds Stamp Set (W) item #146443 (C) item #146446. It is available in wood mount or clear mount. This stamp set can be found in our Stampin' Up! Main Catalog on pg. 71. Perfect for stamping background patterns or use as the main stamped image. Next one I used Thankful Thoughts Stamp Set (W) item #141519 (C) item #146446. It is available in wood mount or clear mount. This stamp set can be found in our Stampin' Up! Main Catalog on pg. 124. This is my most used stamp set and if you have any type of business this is perfect to create thank you notes, tags, use on invoices and etc. It also pairs beautiful with other stamps to send thank you cards to family, friends, coworkers and etc. Using the Big Shot Die Cutting Machine with the Stitched Shapes Framelits Dies, I die cut out a piece of Whisper White card stock. Then I inked the stamp from Birthday Backgrounds Stamp Set in Crushed Curry and stamped onto the Whisper White circle over and over. Die cut out a piece of Smoky Slate card stock using the Big Shot Die Cutting Machine with the Layering Circles Framelits Dies. Adhere to the center of the Whisper White circle using Stampin' Dimensionals. Ink the "thanks" from Thankful Thoughts Stamp Set in Tuxedo Black Memento Ink and stamp onto a piece of Whisper White card stock. Zip the stamped card stock through the Big Shot Die Cutting Machine with the Stitched Shapes Framelits Dies. Adhere to the Smoky Slate circle with Stampin' Dimensionals. Place some Rhinestone Basic Jewels onto the tag randomly and below the thanks. Punch a hole at the top of your tag. Bag your gift item into the 6 x 8 Cellophane Bags. Tie closed with the 5/8 Black Glittered Organdy Ribbon. This carried over from the Holiday Catalog, you can still purchase it. Welcome to My Inky Friends: Time to SALE-A-BRATE Blog Hop. 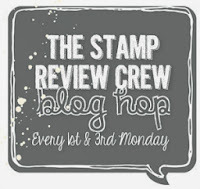 Each blog will be featuring one item from the Stampin' Up! SALE- A- BRATION Catalog!! Please note the blog hop doesn't officially start until noon EST today January 11, 2019 some of the links may not work right away. This hop goes through Sunday January 13, 2019. If you have been following the tour in order you would have arrived from Shelly's Blog where she is showcasing So Hoppy Together another one of my favorite SALE-A-BRATION items! Didn't she do an awesome job!!! This year one of my goals (yes I am one of those crazy people that likes to set goals...could be a competitive thing) is to think outside the box. Why cause I thought it could be interesting and a challenge..again competitive thing. lol How do I use this set in a out of the box and different way? How about ONLY use part of the words from the images to create new phrases for my planner! Boom shocka-lacka!!! I am quite proud of this idea. haha Yep I am a planner girl too I've been using planners for years and about 4 years ago created a system that works awesome for all of our different business and personal life. Stampin' Up! does sell a planner but I didn't want to change my system that I already have set in place and fine tuned. I had a planner for each one of our business (4), a budget planner, memory keeper planner, blog planner and class planner, and a personal planner. Think I am a addict? lol This year I decided to condense down to one mini planner for our businesses, budget and personal planner. I still kept my 2 planners for my Stampin' Up! business and memory keeper planner. We'll see if it works, I like the idea of small planner to carry it with me just not sure if it'll be big enough for all of our happenings. I love documenting our life and my planner is a big part of my story....it's the only thing that keeps me together haha. So I thought this set was fitting for me. I created a Date sticker for our Date night by using the us and heart out of one of the other stamps. I love the saying lets get together and giggle. I will be spending a weekend with my cousin's boys and when were together we giggle a lot so the saying was very fitting for that event. Another thing this year I am doing for a goal is setting aside 1 day out of the month for just me. This means no working just stamping for fun, maybe a pajama day reading one of my books, or watching T.V. you get the idea. That day will be unplanned I'll do what I feel like doing when I wake up! I created the you day sticker by using a couple of different words out of the stamps in the stamp set. I hope my project inspired you to think outside the box! Now you'll want to head on over to Cindy's BLOG where I know you will love her project! !